At one point, Derrick Baity got some first round love. I don’t believe that is the case now, but I think he could make some money in the combine if he performs well. He is one of two (Lonnie Johnson) big corners coming out of Kentucky. 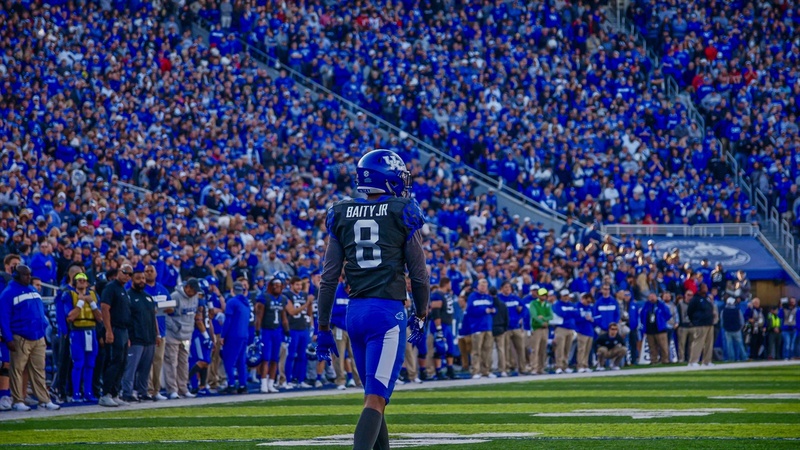 Baity spent a lot of his time at Kentucky as the number one corner on the team. He is long and can play well in man or zone coverage. He could get bullied by bigger wideouts, but he is a solid cover guy that knows his role. Baity will have some work to do in Indy.